Book Review: Grain Brain « Adafruit Industries – Makers, hackers, artists, designers and engineers! 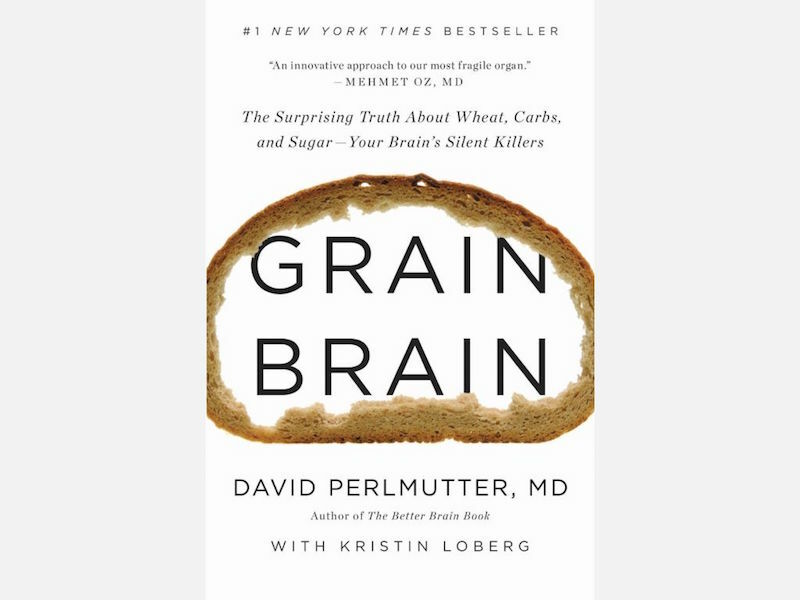 I recently listened to an audio copy of Grain Brain: The Surprising Truth about Wheat, Carbs, and Sugar — Your Brain’s Silent Killers. I enjoyed the book and buy into most of the theory. It is important to point out that many people will be deeply offended by the content. The author is on the paleo/ketogenic bandwagon promoting a low carb and grain free diet. The science that is being provided could be more balanced. Neurologist David Perlmutter claims that carbohydrates are linked to obesity, diabetes, ADHD, alzheimers, dementia, headaches, depression, arthritis, insomnia and cancer. Obviously these are bold claims that effect a significant amount of our population. The book reviews several studies and his own patient testimonials offering dietary guidelines to help reduce the above mentioned conditions. As someone who has been on a pretty strict ketogenic diet for all of 2016 I can relate to some of the claims within the book. Mental focus, energy levels, itching, weight control and lack of inflammation have been real wins for me going grain free. Should you be suffering from some of the chronic conditions already mentioned I would recommend reading this book. Three out of five well known biohackers have put a low-carb/paleo/high-fat diet as their most significant biohack. Even if you don’t agree with the science this form of eating is worth taking a closer look at. dietdoctor.com has a lot of free resources, but is also inexpensive for membership, and has all things LCHF, ketogenic, athletic performance, fixing type 2 diabetes, the dangers of statins, as well as lots of eating guides and recipes for delicious low-carb meals. They also have a “Two Week Low Carb Challenge” which many people have benefited from which would be ideal for anyone who would like to try.